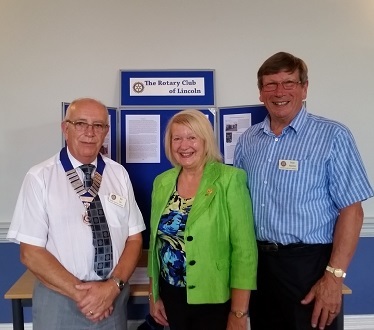 Congratulations to Jackie Kalson, who, although a long standing Rotarian, today becomes a welcome new member of the Rotary Club of Lincoln. We are looking forward to employing Jackie's enthusiasm and experience. President Bill welcomes Jackie watched by sponsor Peter Manton.